I've been trying to get in shape lately, but it hasn't been going very well. For some reason between Boo REFUSING to stay in the day care at the gym I joined and me watching The Biggest Loser while eating more peanut butter cookies than there are contestants I mysteriously haven't lost much weight. My weight has always been hard to track as it can vary as much as 5-6 pounds just by weighing at different times of the day. I obviously never been 'together' enough to weigh at the same time every day. I joined a group of ladies that are all doing this same Extreme Makeover lead by Amber Filkins. Each week she posts a question for me to bore everyone with my answer to. How are you keeping track of your achievements? How do you reward yourself when you achieve a goal? I know you can do it! Weigh yourself at 11 a.m. - that's when I weigh the least! Believe me...I've tracked it. Is there something wrong with that? Go shredding and turbo-jam! Sounds like fun! I'm too boring, I just turn the T.V. on and hop on my treadmill! You are funny! I am in the same boat. I have a few pounds I could lose, but mostly need to tone things up! I definitely have that mommy tummy thing happening! I have been doing the 30 day shred and it's hard. Sometimes I do level 1 and level 2 together to increase my cardio time. Let me know what you think of it! You are so funny! Love the belly jiggle while brushing comment...what's up with that anyway! You are doing awesome! Can't wait til I get to the point where I just need to tone! Have a great week!! Good luck with the shredding...I hear it's killer. Getting toned is a great idea because as we get old our bones will become brittle. Not that your old....just sayin'. I did that dvd! It is great! I need to pull it out again! I have that mommy belly jiggle too! I HATE it! 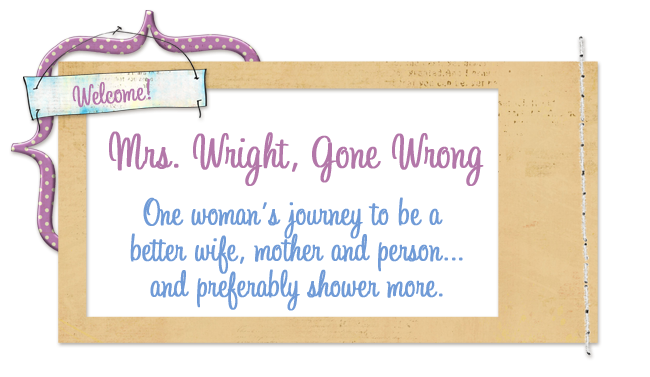 My name is Gillian Wright, and I'm a married mother of 3 who hates 'About Me' sections. I currently am obsessed with sewing, handmade crafts, photography, reality shows, avoiding responsibilities, cookies, Facebook, chasing my kids around, and cookies. And also cookies. Day 17- I'm fweakin out! Day 12- Poop Or Chocolate? Day 11- Get Back Here Wagon! Day 7- A lasting improvement?